Today's the day! The wait is over! 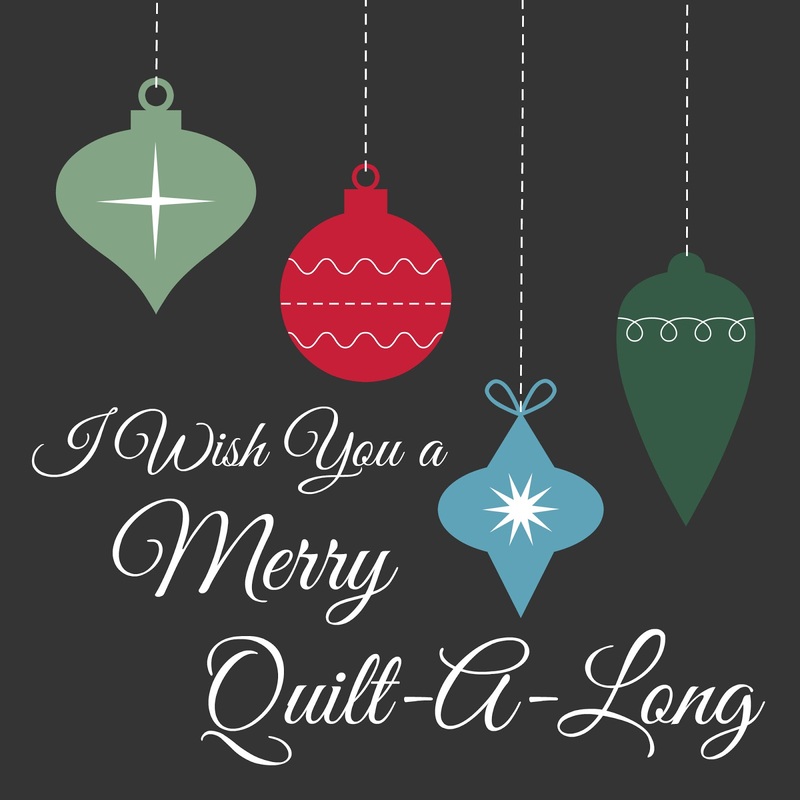 The "I Wish You a Merry Quilt-A-Long" starts today! The pattern and tutorial for Block 1 is on Vanda's blog (tutorial here). For Block 1, I chose the turquoise (Kona Breakers) for the background fabric. I cut a 13" square to begin just as Vanda suggests. 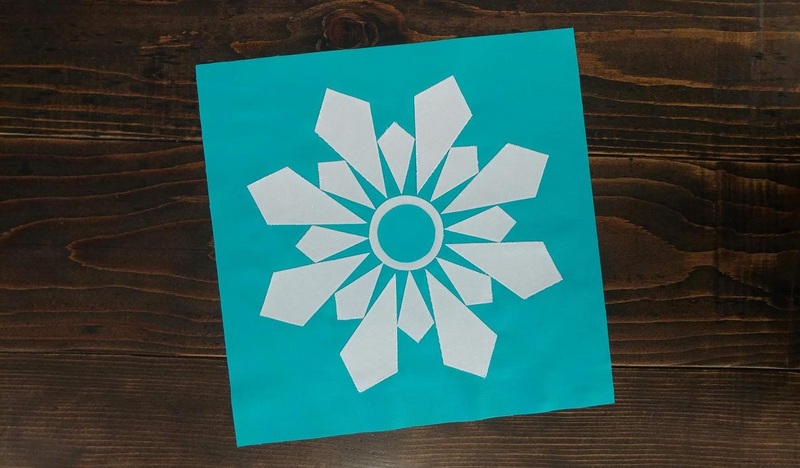 In Vanda's tutorial, she suggests pressing the background square in half multiple times to know where to lay out the snowflake pieces. I decided I would use a disappearing ink pen to draw these lines instead. I used Heat-N-Bond Lite on the snowflake pieces to fuse them into place. 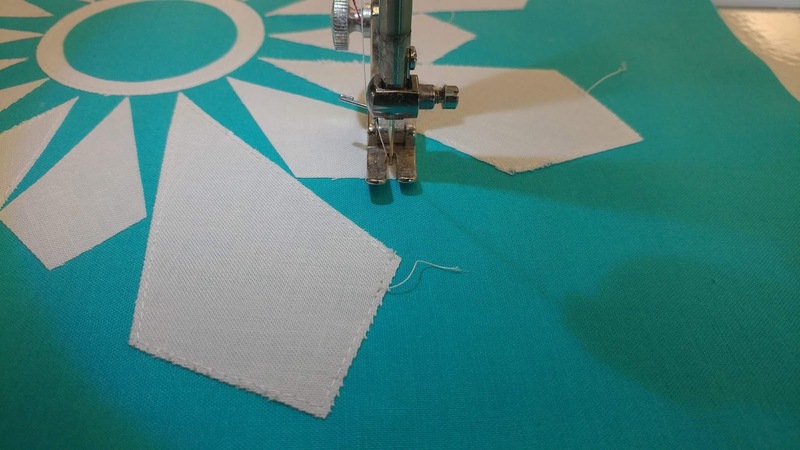 Then I used Aurifil 50wt Natural White #2021 to straight stitch about an 1/8" inside the raw edges of each piece to secure them to the background fabric. 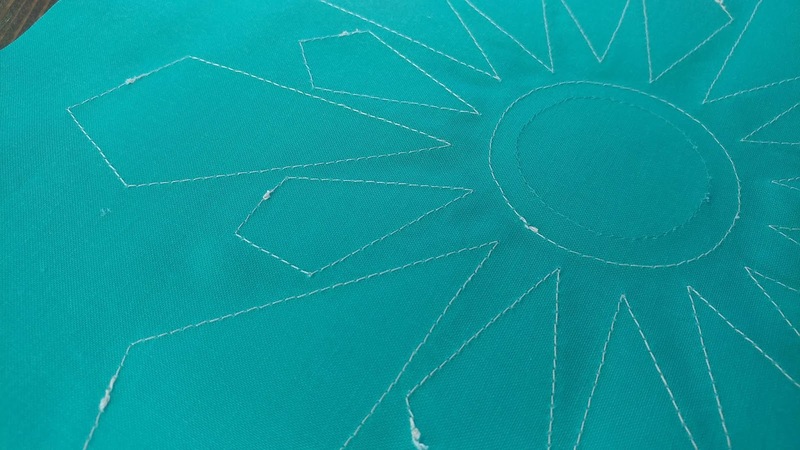 I used Aurifil 50wt Light Jade #1148 to stitch the very center piece that is the same color as the background fabric. I backstitched just a bit before starting and stopping the stitching on each piece to secure the thread tails. Then I just trimmed the extra thread from the top and bottom of the block. Once I had stitched down all the pieces, I trimmed the block to 12 1/2" square. I really love how this one turned out! 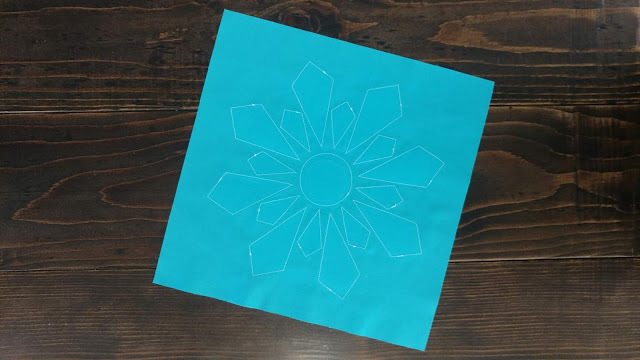 I can't wait to see your take on Vanda's Snowflake block! Be sure to share a picture of your finished Snowflake block before August 15th to be entered to win prizes! 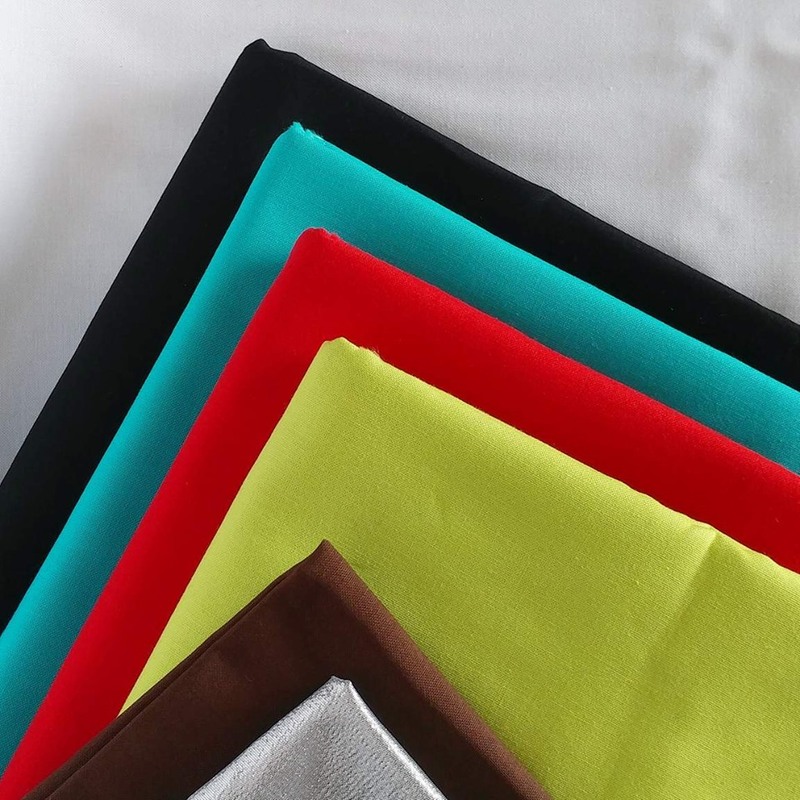 You can post a picture in the Facebook group, on Instagram using #iwishyouamerryqal, or link up to the linky party at the bottom of Vanda's tutorial post. 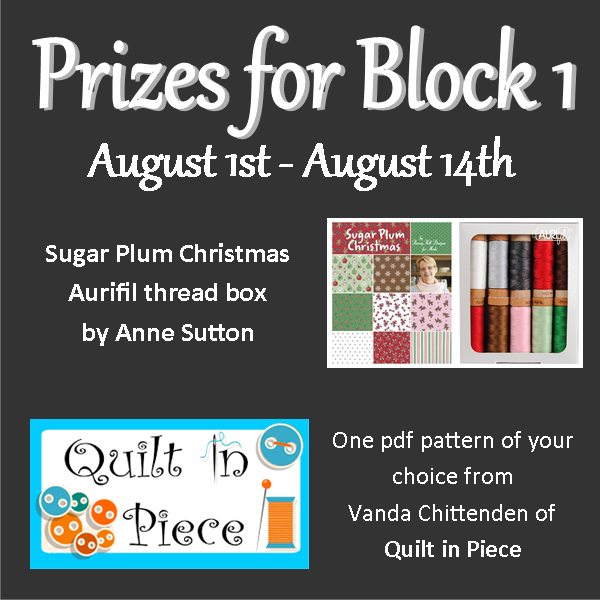 The prizes for Block 1 are an Aurifil Sugar Plum Christmas thread collection by Anne Sutton with 7 small spools of 80wt and 3 small spools of floss AND a digital pattern from Vanda at Quilt in Piece! All prizes during the QAL will be open to participants worldwide! Be sure to look at all the different versions of Block 1 made by the QAL hosts! Join the fun! 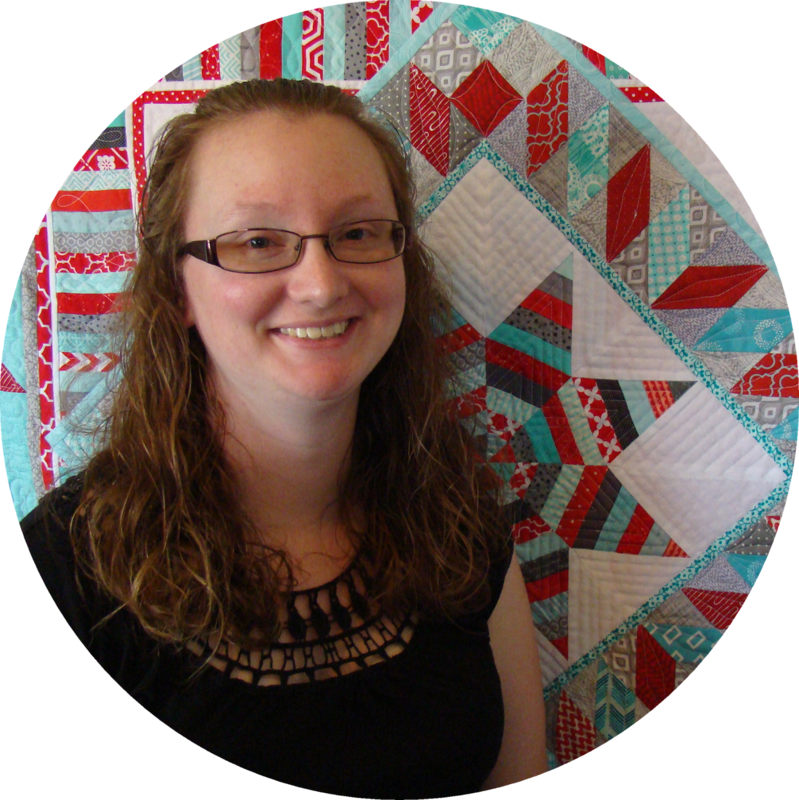 Let's all quilt along! 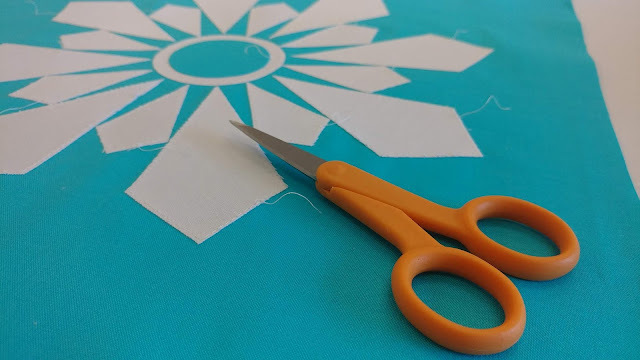 Linking up to Main Crush Monday at Cooking Up Quilts, Let's Bee Social at Sew Fresh Quilts, Needle and Thread Thursday at My Quilt Infatuation, Finished or Not Friday at Busy Hands Quilts, and TGIFF at Kathy's Kwilts and More. I love the idea of using the water soluble pen to mark your lines, that is brilliant. Love your block. 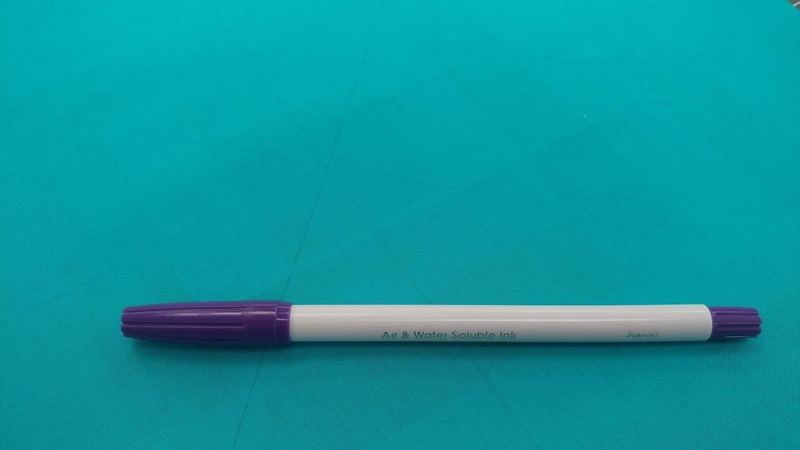 Laura, I love this version and your hint about the water soluble pen. Always hated that pressing thing for placement of applique and found it is sometimes difficult to get out! I agree Laura I like the water soluble pen to mark the lines. 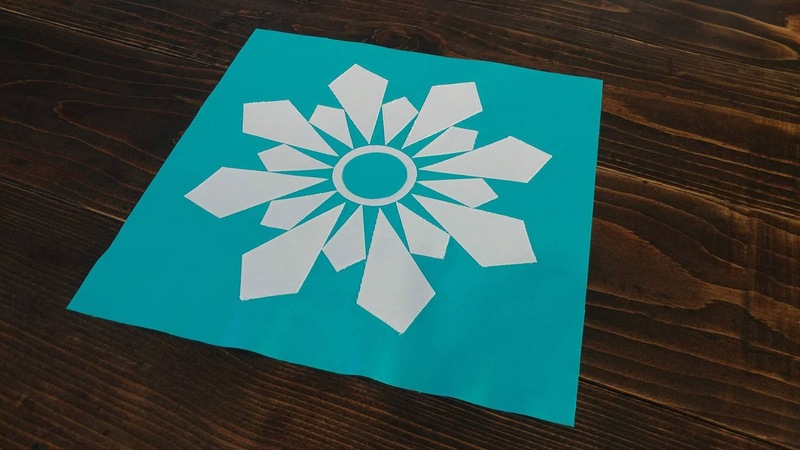 Your fabric choices make me think of a beautiful winter blue sky with the big snowflake. Can hardly wait to see the next blocks. Stunning! So beautiful! Can't wait to see what's next! I love this block, Laura. So pretty! This is going to be fun!!! Love your block and your idea of a disappearing pen. A hera marker would work, too. Looking forward to all the Christmas blocks! 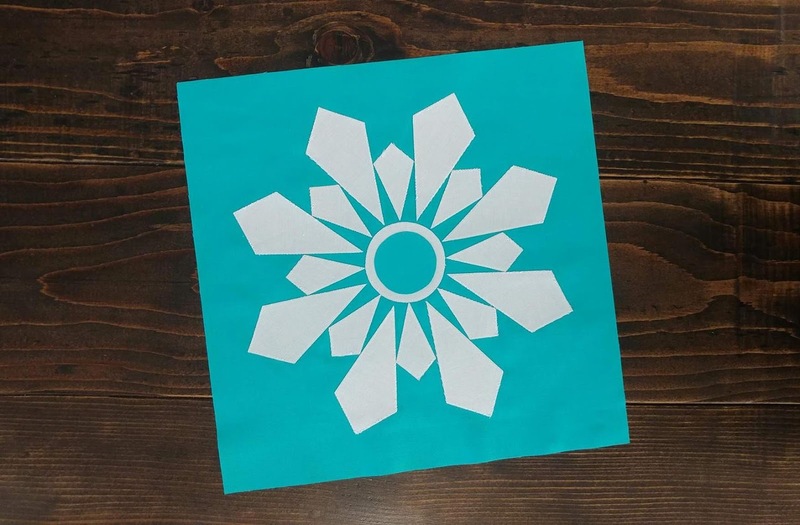 Your turquoise and white snowflake block is the coolest (in a couple different ways!) I'm going to be learning how to do applique this month so may have to make one of these blocks for a Christmas pillow in the next few months.. Take care, Mary. That looks great. Must check out the directions. Very pretty block! I love seeing the design the stitching makes on the back. Looks like it will be fun! 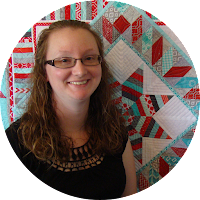 Christmas Quilt-A-Long starts August 1st! Fruit of the Spirit - in Make Modern!